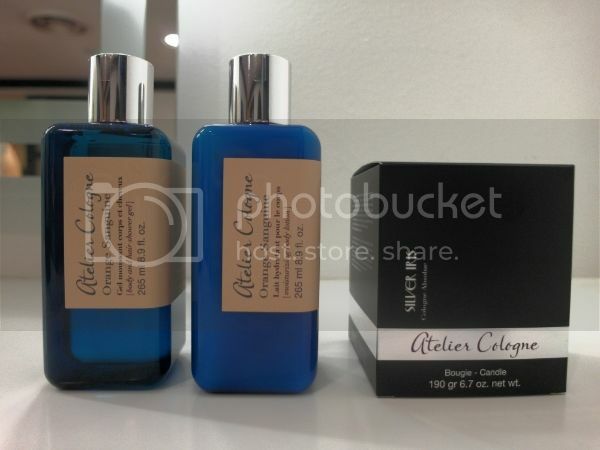 Atelier Cologne was born out of the encounter between Sylvie Ganter and Christophe Cervasel, who share the same love for the legendary perfumery classic, the eau de cologne. Combining their thirst for creation and desire to establish the first Maison de Parfum entirely dedicated to creating cologne of character to be worn as pure perfume, while exalting the characteristic and magic freshness of cologne – the Cologne Absolue. 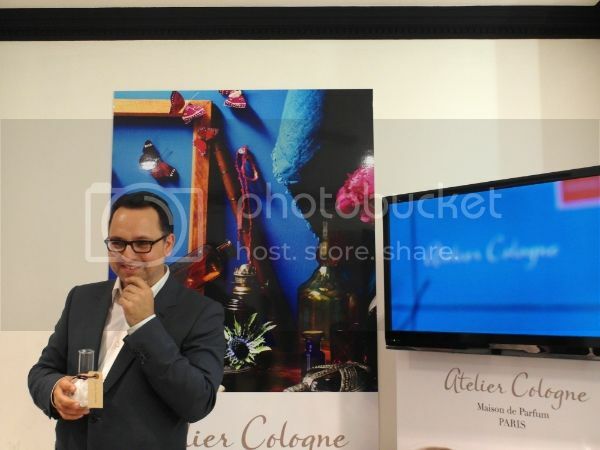 It was a wonderful evening spent with Christophe where we had a once in a lifetime opportunity to listen to him narrating heartwarming stories one after another for each fragrance created by Atelier Cologne. Needles to say, I was sold on the brand. Sylvie and Christophe took the fundamentals of a classic eau de cologne (a citrus scent that’s usually lemon or orange-based) and packed in a slew of intense ingredients to prolong the effect through innovative heart and base notes to help it last. Each cologne absolue is peppered with warm, woody or spicy notes. Grand Néroli is warmed up by vanilla, while Trèfle Pur has clover and patchouli moss mixed with its dominant bitter orange note. It was a feast for the nose as we sniff-test the amazing varieties whilst listening to Christophe explained how each cologne was inspired and rotated around a key ingredient. Each also contains significantly higher concentrations of essential oils (12% to 20%) than standard eaux de cologne, which is between 2 and 5%. 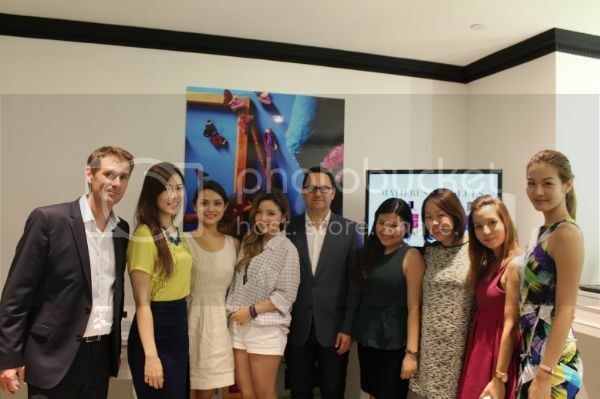 The entire collection is the work of France boutique suppliers. 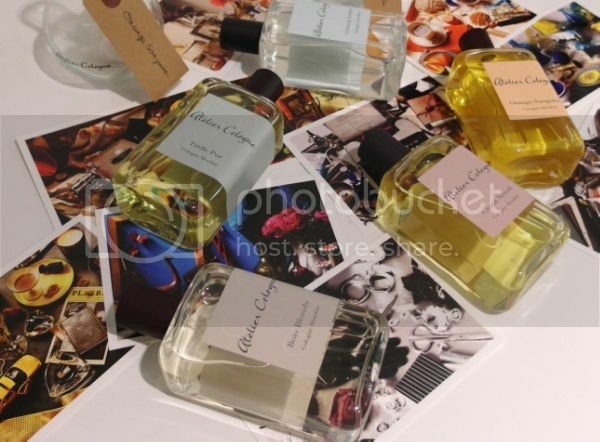 The scents themselves were created by two family-owned fragrance houses that specialize in natural raw materials; the bottles were designed by Pochet; and the caps, which are made of a handsome aubergine leather, were handcrafted by French leather watchband makers. Christophe reignite the spark I had lost and reminded me why I used to collect and love fragrances so much.. Every scent has its own distinctive story, a reason why a particular key ingredient was chosen. 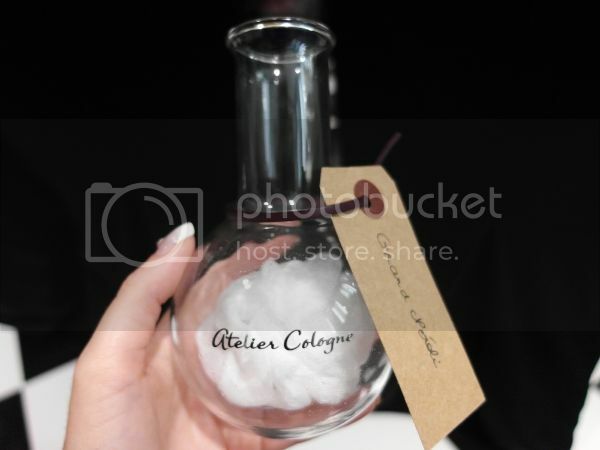 There is a stark difference between a scent created by a fashion brand and a niche perfume house… the latter uses much purer and precise concentration of essential oils to ensure that colognes absolues are fresh, long lasting and they’ve got personality. 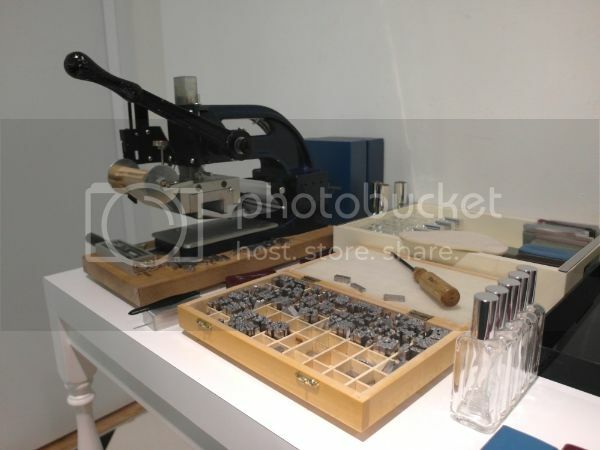 The antique engraving machine that was used to monogram leather carrying pouches for the scents as seen with my initials below – tres chic! 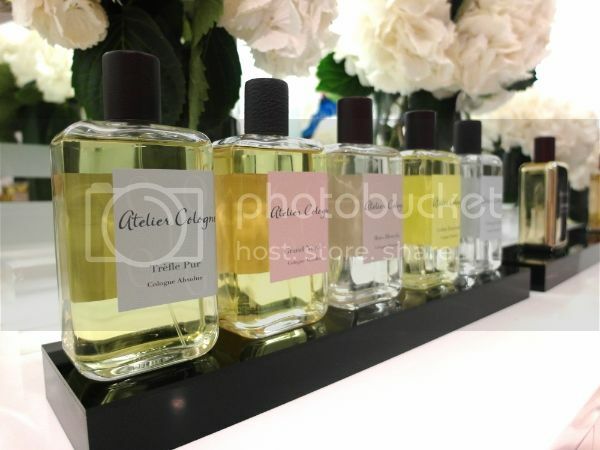 Atelier Cologne fragrances will be available from mid June 2014 in Escentials Paragon and Escentials Tangs, prices ranging from SGD170 to SGD290 for the 100ml Cologne Absolue.